Sintra is probably one of the most visited spots in Portugal and for good reason! Get ready to explore the colourful Palace of Pena, marvel in the old Castle of the Moors, get lost in the beautiful gardens of Quinta da Regaleira or enjoy one of the many hiking paths. Don’t forget about the incredible history of Sintra! Some of the history can be traced back to early civilisation stretching all the way back to the Neolithic times and the Romans who also spent some time here. Fast forward to now and here is us exploring the town filled with castles, parks and monasteries. Here is a quick summary of the things you need to know about visiting Sintra! How Long Should I Spend in Sintra? 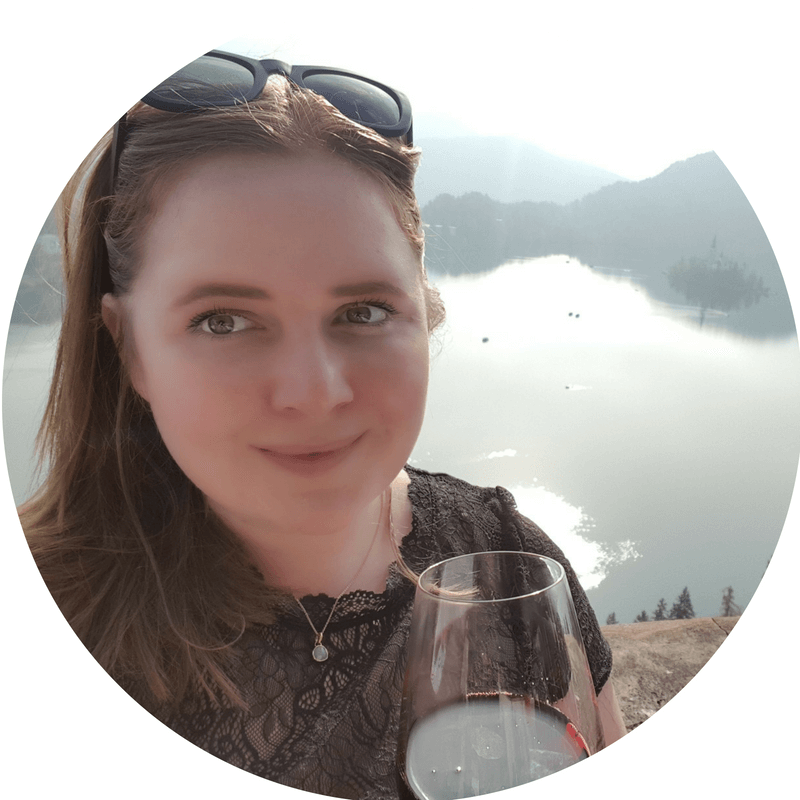 What to Pack for a Day Out in Sintra? The map below highlights all the places I mention in this article and it is super handy to save on your phone for reference. 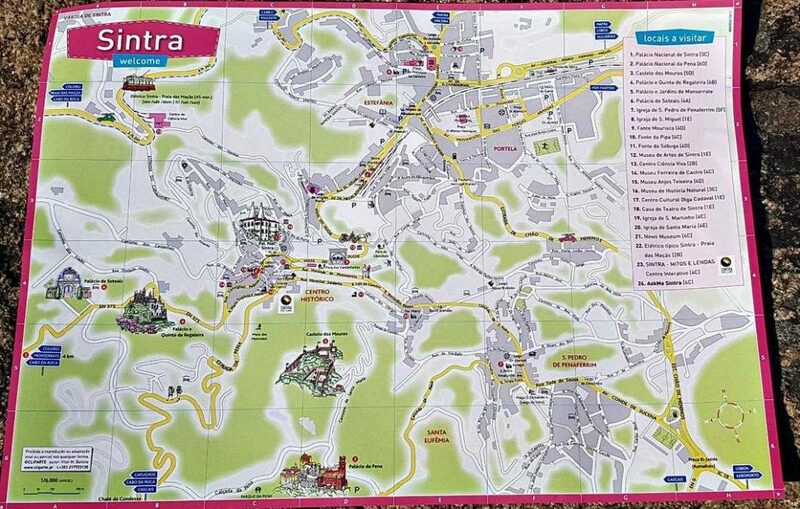 A map of Sintra can be picked up from the tourist information centre if you prefer these styles of maps. I always think maps are the perfect souvenir. In the 19th century, Ferdinand II acquired the land in the 19th Century and set out to build a summer palace for the royal family. He appointed Ludwig von Eschwege to be the architect of this magnificent palace. Ludwig drew inspiration from the Manueline and Moorish styles, as well as from the great castles he visited along the Rhine River. 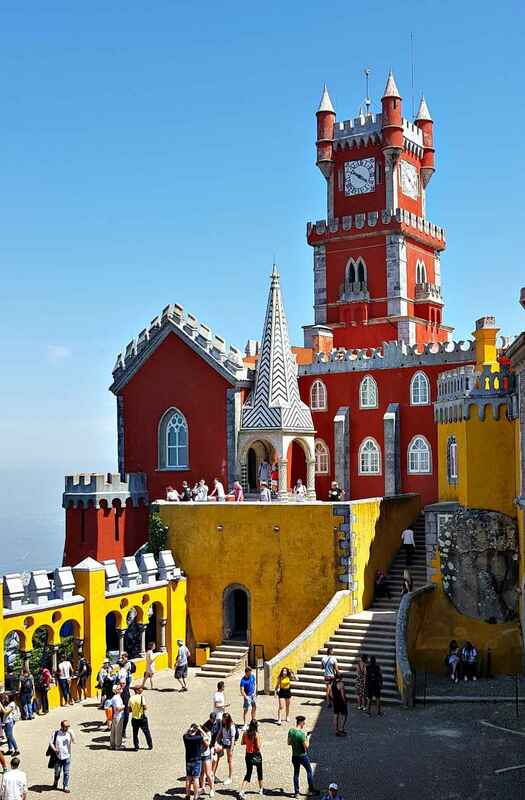 It’s hard to miss the Palace of Pena, perched high on the hill and its striking colours on display. If you were wondering about the colours, the palace has been repainted with the original shades. The palace gardens host over five hundred different species of trees originating from all corners of the earth. It’s considered to have the richest and most unusual collection of tree species in Europe. Some of the plant species that can be found in the gardens can no longer be found where they originated from. The Pena Palace is a wonderful tourist attraction, but the popularity means that it can get very crowded during the summer. I suggest when visiting either plan to arrive early or late in the day to avoid the mid-morning/mid-afternoon coach tours. If you are short on time I suggest skipping the castle and focusing on the gardens. For costs, opening times and transport options skip to the bottom of the article. As the name suggests the Castle of the Moors dates to the North African Moors. The castle was selected as it has a good vantage point over River Tagus and safeguarding the important trade town of Sintra. Detailed in the history books, Sintra was a very rich in cultivated fields and was one of the most important castles in the region. In 1092 the Christian crusade, led by King Alfonso VI of Castile, captured the castle, however, they were shortly driven out due to limited forces. During the first and second Christian crusade the castle flourished and was regarded as the highpoint of its history. The castle was eventually abandoned in the 16th century when the castle started to fall apart due to neglect, decay, fire and earthquakes. Fast forward to today and now the castle provides one of the best views of Sintra and Pena Palace. Pena Palace is higher, but the Castle of the Moors offers more of an uninterrupted view of the town, Pena Palace and the other palaces and parks in Sintra. The Quinta da Regaleira is the place to explore more incredible and elaborate gardens with its 19th-century gothic mansion. The gardens are filled with a series of secret passages, caves, mystic religious symbols, lakes and fountains. 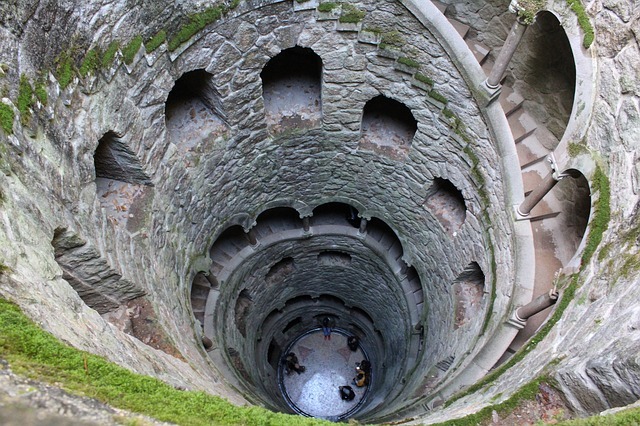 The garden features two initiation wells which are not your typical wells as they were never filled with water and instead were used for ceremonial purposes that included Tarot initiation rites. The Quinta da Regaleira is a popular tourist attraction but not as popular as the Pena Palace or the Palácio Nacional. Most of the visitors are spread throughout the gardens so it never feels as crowded as some of the other attractions. 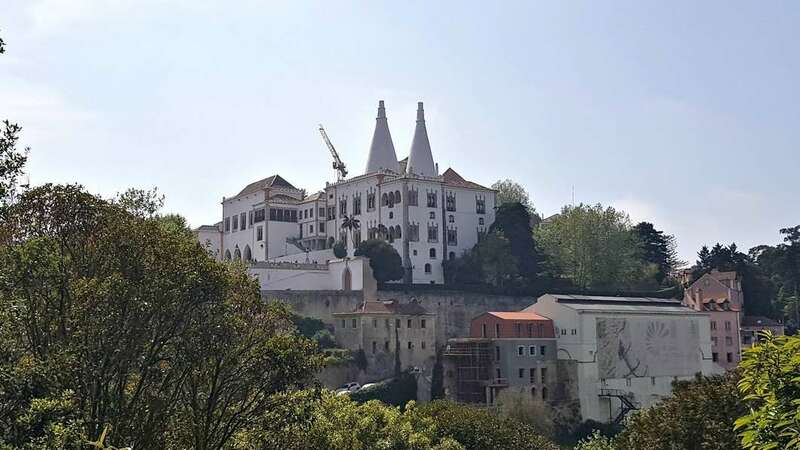 Located in the centre of Sintra you will notice this palace straight away with its pair of white conical towers above a mishmash of halls and annexes. It was the most lived in royal residence up until the fall of the monarchy in 1910. Whilst the palace has a plain exterior, inside the palace you will be able to spot the influences of all the palace’s former inhabitants. A great mix of architectural trends can be discovered from the Manueline, Moorish to Gothic. It generally gets busy here around lunchtime. Monserrate is less crowded generally as it is deep in the mountain range and slightly removed from Sintra’s other palaces as its 3.5km outside the town centre. Explore the Islamic influences of the residence, the latticework in the arches, arabesque stucco patterns on the stairway and the ceiling of the radiant music room. How could we forget the garden!? The park has bamboo plantations, grottoes, man-made waterfalls, ponds, cedars and tree ferns. Yet another example of the incredible architecture you can find in Sintra. We all know about the famous Portuguese pastry custard tarts! Get ready for more delicious baked good in Sintra! There are two in particular that you should add to your list, travesseiro and queijada. Queijada is a small circular cake made with eggs, milk, sugar and cheese. The centre is a mild, soft cheese similar to ricotta is used in place of butter. Travesseiro us a cylindrical puff pastry filled with an almond and egg cream and best served with a cup of coffee. Where to pick up these delicious treats? 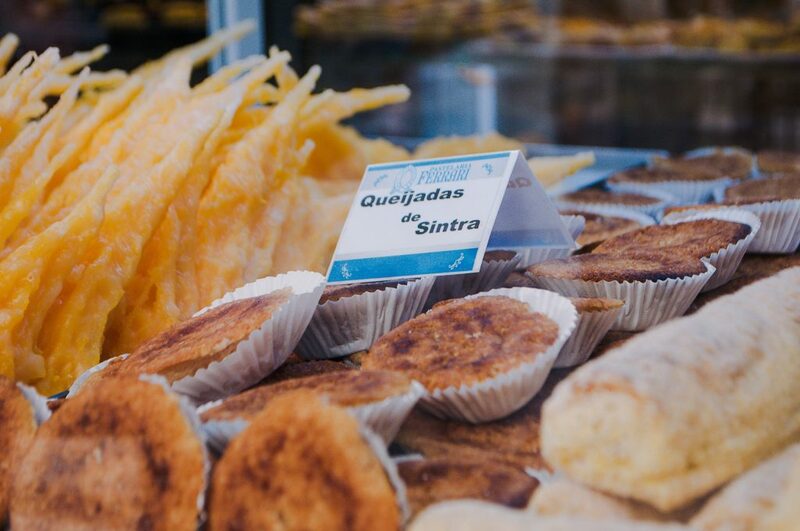 Travesseiro is sold at Piriquita (Rua das Padarias 1/7) and queijada, the most famous of which is sold at the Fábrica das Verdadeiras Queijadas da Sapa (Volta do Duche 12). It was believed Cabo da Roca was the edge of the world until the 14th century! Now just the most westerly point of mainland Europe. Apart from enjoying views from the cliffs and hiking around you can visit the Cabo da Roca lighthouse which was the first purpose-built lighthouse in Portugal in 1772. Lastly there is a stone monument with a cross atop. The inscription on the side of the monument is a quote from the famous Portuguese poet Luis Camoes (1524–1580) who described the area as “Where the land ends and the sea begins”. Cabo da Roca is often included with day trips to Sintra, however, it is easy enough to get there by driving or taking the infrequent (once an hour) Cascais to Sintra bus route (bus number 403). Start the day off early and get the 8.08am (summer) or 8.38am (winter) from Rossio Station to Sintra. You will arrive at 30 to 45 minutes before Pena Palace opens. I suggest starting your day here as it’s the highest point and then you can just enjoy the walk downhill! Catch the 434 bus to Pena Palace (more details below) next to Sintra stations. Be careful of scams near the station, for example, you may see someone selling the tickets for the “City Sightseeing” buses in Sintra, for €20. You can get to the Pena Palace for €5 either by the local bus, Uber or tuk tuk. At the ticket office grab a multi-site pass (more detail below). Spend a few hours exploring Pena Palace and its gardens before heading across to the Castle of Moors. It is about a 30-minute walk to the castle. The traffic is intense around the area, so you can catch the local bus or tuk tuk back. We found that Ubers didn’t wish to travel up to the castle and continuously cancelled our requests. Grab some lunch in the town centre. We went to Cantinho Gourmet for lunch as it had the best vegetarian option on the day. It also has a great range of local drinks to choose from, I tried the Sharish Blue Magic Gin which turns pink when you mix the gin with tonic. Don’t forget to pick up some tasty travesseiro and queijada for desert! Depending on the time you have left and your energy levels head to either the Palace of Sintra (Palácio Nacional de Sintra), Quinta da Regaleira or Monserrate Palace. There are direct trains that will run late at night (i.e. 9pm etc) which is great as you will only be limited by when the attractions close. If you’re planning to visit a few of the sites make sure you purchase a multi-site pass from your first stop. Who doesn’t love to shave a few euros off the overall price?! Alternatively, you can also pick up tickets online at Parques de Sintra and save 5% buying online or if you have the Lisbon Card you can enjoy between10 to 15% off some of the attractions entrances. Most of the sights are open from 9.30am until 7.00pm during summer and 10.00am until 6.00pm. For the latest times visit the Parques de Sintra website. Yes!!! 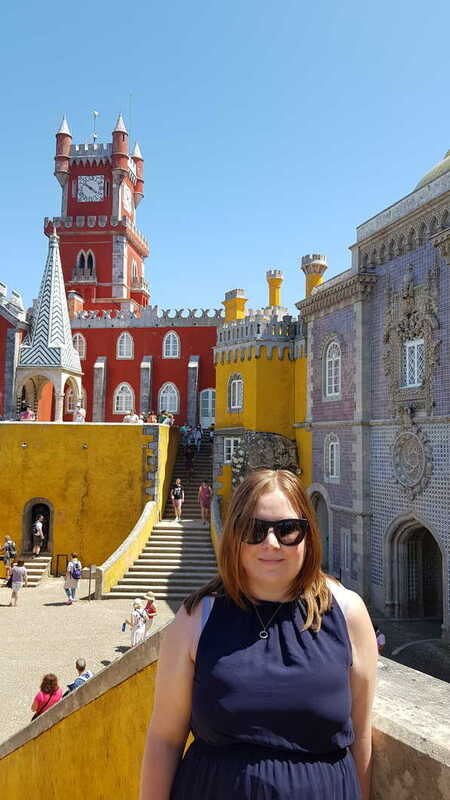 There are only so many words I can use to describe how excited I was to visit Sintra. I totally underestimated how many things there are to do in Sintra. Unsurprisingly, Sintra is a UNESCO World Heritage Site and so is every sight you’ll visit in Sintra. I must say I regretted not being able to spend more time in Sintra and hope to go back to explore the wonders that Sintra has to offer. Visiting the town of Sintra is a popular day trip from Lisbon. This is exactly what we did on our last trip to Lisbon. It’s totally doable to see two to three of the attraction in Sintra in a day but if you want to see what Sintra really has to offer you ideally need two to three days. Flocks of tourist buses do arrive in Sintra and can make it quite crowded. Summer is the busiest time to visit Sintra so if you’re not so keen on crowds, you might want to avoid the visiting during Summer, especially at the weekends. Alternatively, when visiting either plan to arrive early or late in the day to avoid the mid-morning/mid-afternoon coach tours. Some of the attractions are less busy than other so with a bit of planning you can time your visit to certain places to experience less of the crowds. Sintra is a quick 30-minute train ride from Lisbon and a bargain at € 2,15. The easiest way to get to Sintra from Lisbon is the regional Comboios do Portugal (CP) train from Rossio station. If you have been travelling around Lisbon I am sure you have picked up a reusable Viva Viagem card. 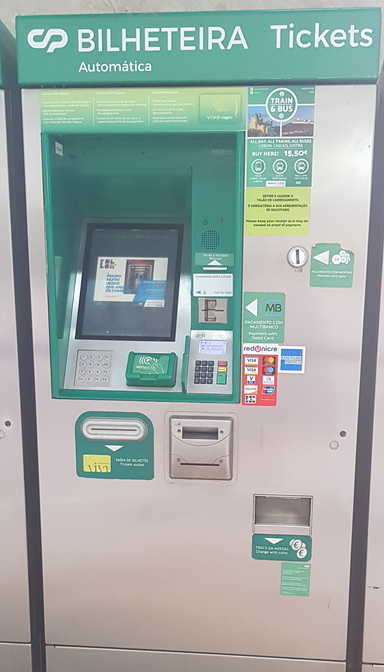 Otherwise you can pick up a card for € 0,50 at Rossio railway station or almost any train or metro station in Lisbon. Zapping: € 1,80 each way, so € 3,60 total. As we were barely using transport when we were in Lisbon we didn’t opt to pre-fill our cards. It is the cheapest way you can travel as get a more favourable rate on trains, buses, trams and the metro than if you were to purchase a single ticket. I wouldn’t recommend driving to Sintra, the town has very congested roads and limited parking. At the end of the day it would just be a hassle and stressful with all the one-way systems they have implemented to deal with the tourist traffic. The town centre is a scenic 10-minute walk from the train station. To get to the points of interest in Sintra you can take the local bus, an Uber or one of the many hiking trails available. The Castle of the Moors and Pena Palace is a steep 3km incline to the top so for these you may want to take the bus or an Uber to the top and then walk back down. Quinta da Regaleira is a short walk from the station, however, Monserrate Palace is an additional 3km up the road. 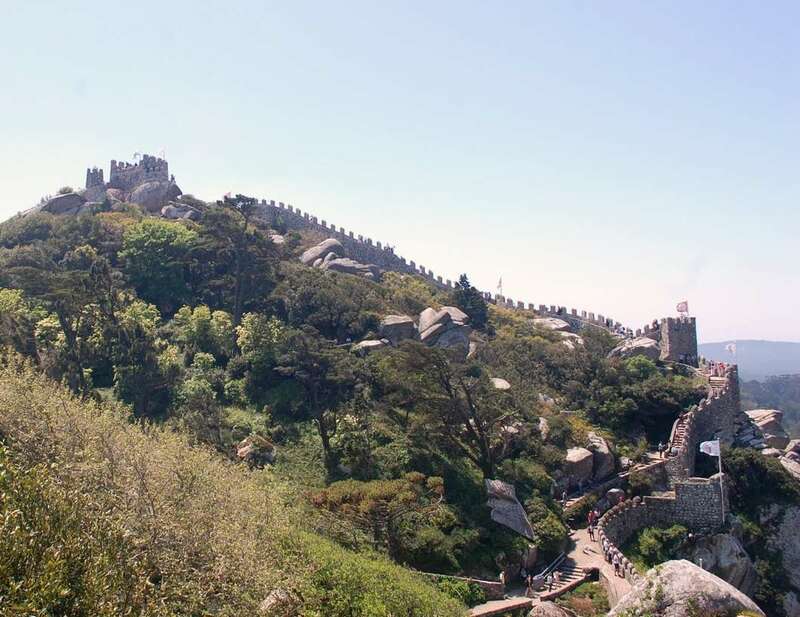 The Sintra 434 bus route makes a loop from the railway station to three major sites in Sintra: the National Palace of Sintra (Palácio Nacional de Sintra), the Castle of the Moors (Castelo dos Mouros), and Pena Palace (Palácio Nacional da Pena). 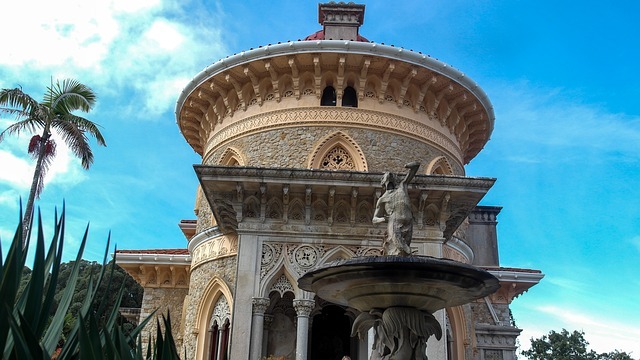 The Sintra 435 bus route makes a loop from the town centre to Quinta da Regaleira and the Monserrate Palace (Palacio de Monserrate). 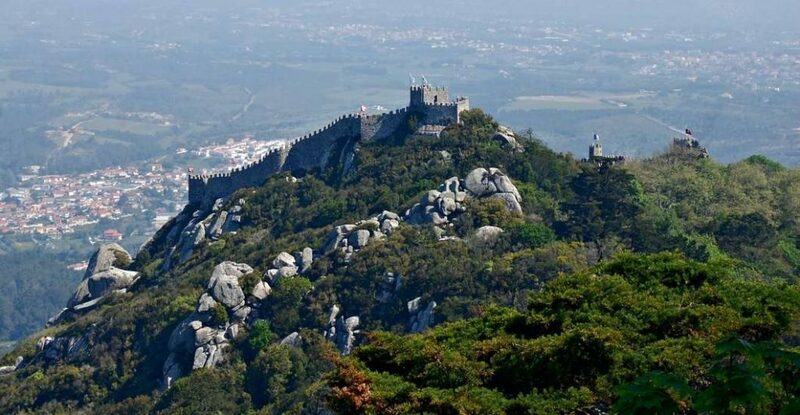 Each walking route will require an average level to good level of fitness and take you through various forest paths to the Castle of the Moors and the Park and Palace of Pena. You can pick one of the following trails to get there; Santa Maria Trail, Lapa Trail and Seteais Trail. Be prepare for some walking and pack or wear comfortable walking shoes! Even though you can get a bus/drive close to most of the main sights (unless you plan to hike up there), there is a lot of walking required when you’re there (on the cobbled street too). It has its own microclimate so even if it’s sunny in Lisbon doesn’t mean it is wonderful weather in Sinatra. Check the weather before you travel and bring along an umbrella or jumper/jacket. Undoubtedly pack a camera (optional), phone and a battery pack so you can capture all the wonderful views and buildings of Sintra. If you want to cram in as many sights as possible bring a packed lunch. That way you can save time on the wait time in a restaurant and get to the next sight. Plus, there are so many pretty parks and wonderful forests to enjoy your lunch. Lastly, bring along a water bottle to keep hydrated during the day. Let me know in the comments below your experience about visiting Sintra or any questions you may have!